This is the modern way to configure VLANs. A useful feature of this command is that you can configure a range of VLANs with a single command. 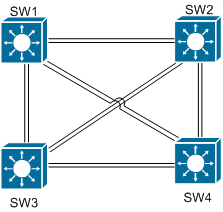 In the below example we will configure VLAN 25 and name it MANAGEMENT. Now we will configure a VLAN range to configure many VLANs at once.